Knuckle Junkies | Coming Soon: We Hope! 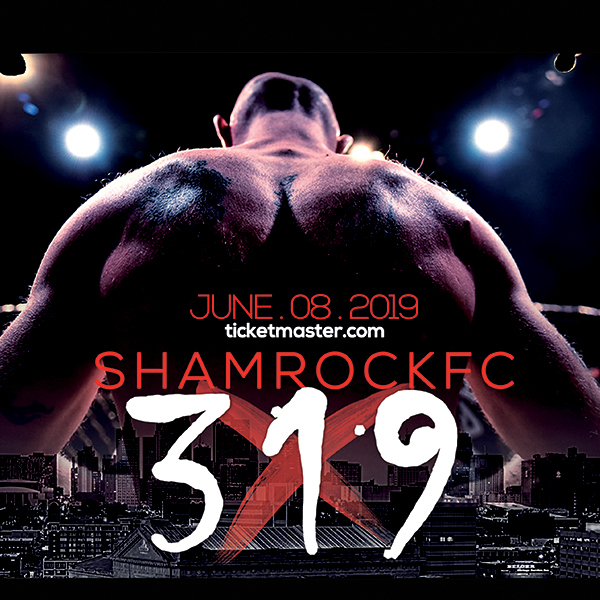 As many may have seen in my short-lived post last Thursday, a professional-level Muay Thai match was scheduled to hit St. Louis on the upcoming Rumble Time Promotions show on Friday, May 3rd. Unfortunately the State Athletic Commission called that match off citing their Code of State Regulations which state that "Professional kickboxing", defined as "…any form of boxing in which blows are delivered with any part of the arm below the shoulder, including the hand and any part of the leg below the hip, including the foot, and where contestants compete for valuable consideration", be fought in rope-enclosed ring and not in a cage. Considering another promotion held a pro Muay Thai match in a cage in St. Louis in 2011 (in which Fuad Keranovic handily defeated Shannon Samuels) one can appreciate the frustration felt when this fight fell apart. That fight would have featured Kirk Huff and Javon "Wolfman" Wright, both accomplished MMA athletes making a transition to a pure stand-up fight. Personally, I was very excited about that match and very disappointed the State pulled the plug considering similar matches have taken place in St. Louis without issue. St. Louis isn't all that accustomed to seeing professional Muay Thai fights, though there is no shortage of amateur shows in the area. Fans can expect to see differences in this pro match, versus amateur shows. For starters, the rounds are longer, lasting 3 minutes instead of 2 as seen in amateurs. As well, most Thai fights last 3 rounds, with title fights going 5. Muay Thai incorporates a full range of weapons in the arsenal. The Thai words "Muay Thai" translate to the "art of eight limbs", meaning strikes using the fists, elbows, knees, and shins. Hand combos, similar to those in boxing, are used to set up kicks to the legs, body, and head, or knees to the body or head. Those same hands, when thrown effectively, also set up the most devastating strike in Muay Thai – the elbow. Points are scored as follows, from highest value to lowest: elbows, knees, kicks, punches; throws score, too, with about the same value as a kick. In Thailand fights typically start slow with the first two rounds being rounds in which the fighters feel the other out. The pace kicks up in the third with the final two rounds being all-out and scored the heaviest of the five. St. Louisans, on the other hand, can expect a fight to begin quickly and to keep a frenetic pace throughout – this is a trait common to North American Muay Thai matches. Notable St. Louis professional Thai boxers/kickboxers include Ron Smith, Fuad Keranovic, and Jermaine Andre`. "To challenge myself, and because I feel a lot of people in St. Louis have never seen one" is Huff's response to the question "Why take a pro Muay Thai fight?". No doubt Huff is best known for his MMA exploits, and for being the 2012 Amateur of the Year, but let it be known he's much more than just "an MMA guy". Expect to see solid boxing, heavy kicks, and effective use of the elbows from Kirk. Kirk trains Muay Thai with the Art of Eight Muay Thai team; the Art of Eight hones its craft out of Vaghi Martial Arts in Fenton, MO, and St. Charles Mixed Martial Arts and Brazilian Jiu Jitsu (SCMMA) in St. Peters, MO. Yes, that means Kirk and I train together. Yes, I'm biased. And yes, I believe Kirk will have a successful professional career. I've worked with Kirk for several years, I've watched his standup grow to the level it is today, and I've watched him amass a 9-2 amateur Muay Thai and kickboxing record. Flat out, the guy can throw the Muay Thai weapons with a lot of skill. 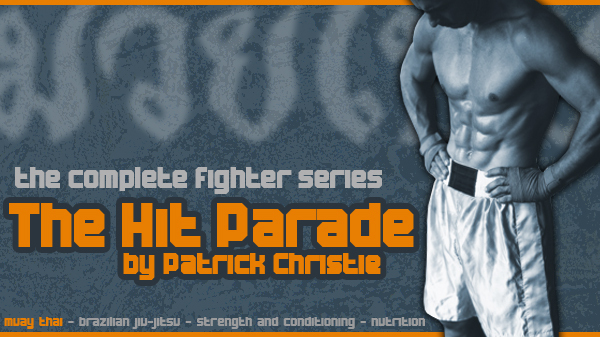 Huff's always in top shape, and shorter Muay Thai rounds (3-minutes instead of 5-minute pro MMA rounds) will favor his conditioning - his fights have the makings of solid entertainment. Kirk also trains with another notable professional Nak Muay (the Thai name for fighters) - Josh "The Gremlin" Sampo. Sampo holds a 2-1 pro record in addition to his impressive 9-2 pro MMA tally. Sampo's only Muay Thai loss was to Ognjen Topic, Muay Thai Authority's 2011 Fighter of the Year - this fight was close and was likely the fight of the night. For context, Topic recently destroyed Paowarit Sasiprapa, a veteran of nearly 200 professional Thai fights, by a vicious headkick knockout. Sampo, an inspiration for Huff, also trains his standup with the Art of Eight Muay Thai team.